Large bottle of FAST conditioner is a Hair Lengthening Product For Fast Hair Growth. 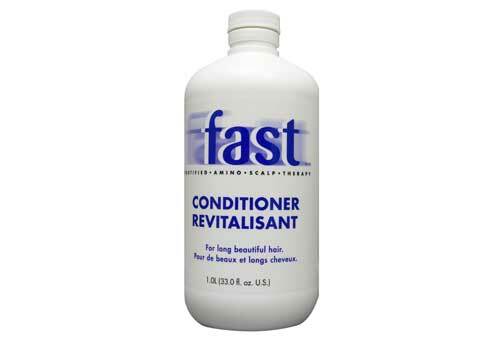 * Conditioner works best when used with the F.A.S.T. Shampoo. Smells great. Doesn’t bubble up not greasy. I like this conditioner but I only need to use a very small amount on the ends of my hair where it is dry. My hair becomes lank & heavy if I use it near the roots so the active growth ingredients probably don't benefit my hair. This product is the best I have every used. I have been telling others about all your products. Nisim products does work very well!